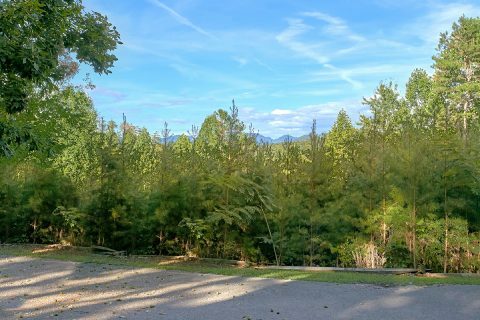 Come experience "Melody Hill" in the beautiful Smoky Mountains of Tennessee! 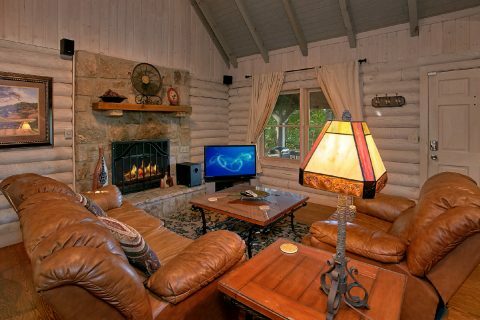 This rustic, secluded vacation cabin in the Glades road area offers a great location for exploring nearby attractions and comfortable amenities designed to make your stay relaxing and care-free. 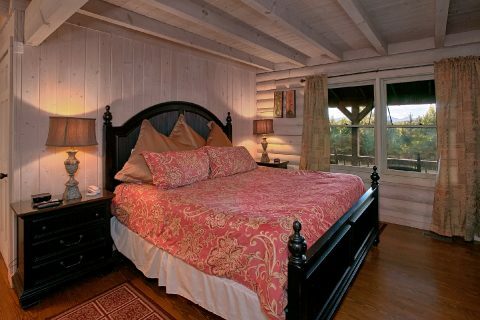 Altogether, this 1-bedroom cabin sleeps up to 4 guests in comfort making it a great place for a romantic getaway or an affordable family trip. 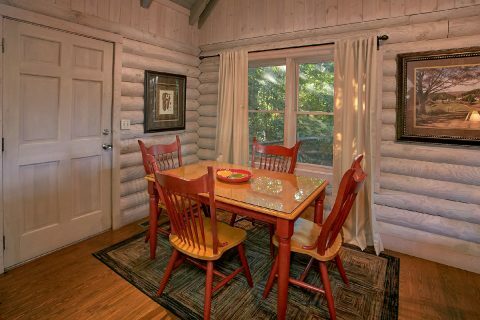 Better yet, your cabin offers a beautiful spot with mountain views and a peaceful spot for reconnecting with friends and family. As you enter into the main floor, you'll find an open floor plan with plenty of space for spending time with the people who matter most. 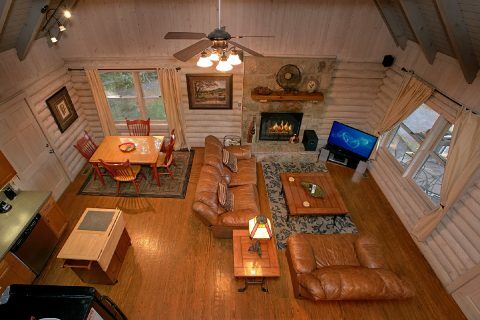 The cozy common area offers a leather sofa, love seat, flat screen TV, and a seasonal gas fireplace. 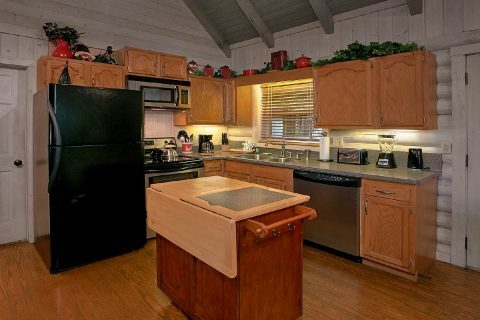 This cabin's full kitchen rests on the main level and features a kitchen island, appliances, and a table with seating for 4. 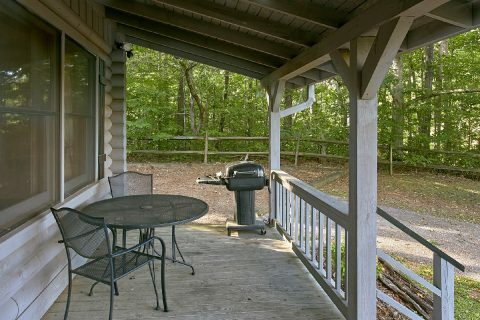 This floor also offers access to a back deck complete with rocking chairs and a hot tub with a lovely forested view. From here, you can enjoy the yard area with a picnic table. The front porch also boasts rocking chairs and a nearby charcoal grill, a perfect spot to enjoy a cookout on your vacation! 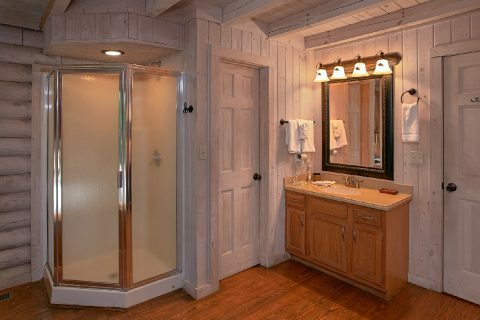 This level is also home to the main-floor bedroom that boasts a king bed, private television, in-room jacuzzi tub and a bathroom with a shower. 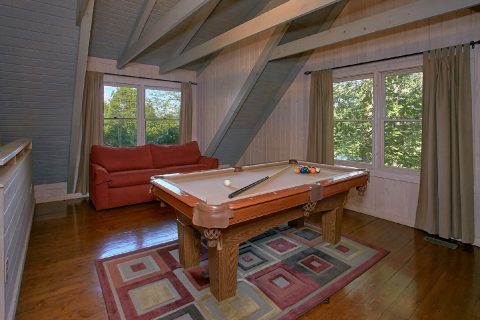 In the upstairs loft, you'll find a billiards table and flat-screen television for unwinding during your stay. Additionally, this loft offers a sofa sleeper for accommodating extra guests. This rental also comes with WiFi Internet so you can stay in touch with friends and family back home. 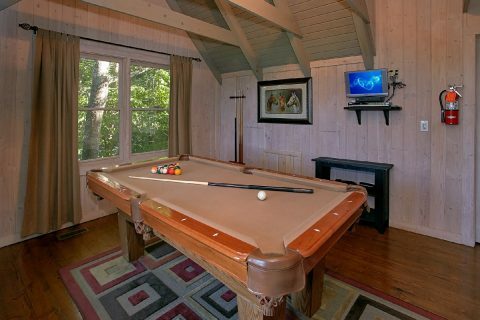 When you aren't unwinding at your cabin, you can easily enjoy an action-packed vacation at the region's biggest and best attractions! 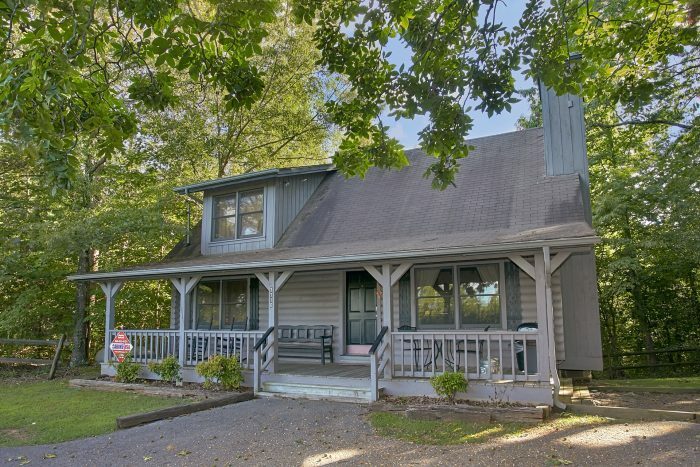 Since this 1-bedroom rental is less than 10 miles away from Dollywood Theme Park, Pigeon Forge, and Gatlinburg, TN. 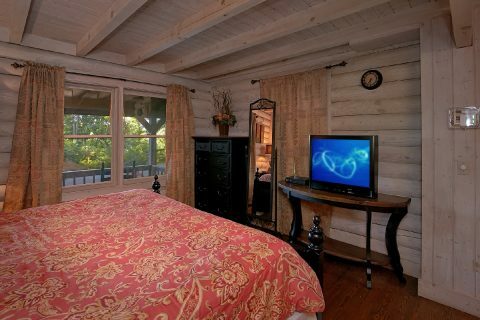 Better yet, this cabin also keeps guests close to the Greenbrier entrance to the Great Smoky Mountains National Park. 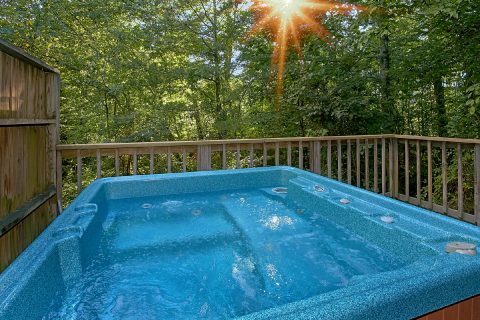 Reserve "Melody Hill" to enjoy a truly affordable and fun-filled vacation in the Smoky Mountains! 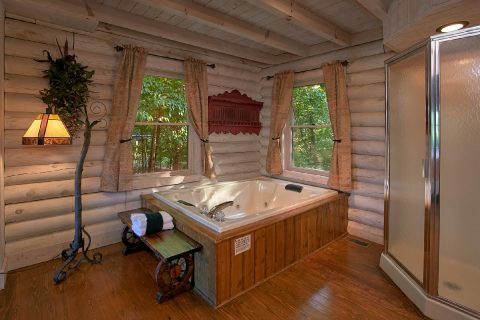 Book today with Cabins USA to earn a special 15% discount on your stay!